Perhaps you're partial to the Mini Cooper's styling and its promise of precise handling, yet the lack of interior room is a deal-breaker. For buyers like you, Mini offers the more spacious 2011 Cooper Clubman. Very reliable vehicle. It is a very comfortable ride. Very good performance car especially on the curves and is great on gas mileage especially on the highway. But it can get expensive when you need to make repairs or have a oil change done and it can add up quickly. But I believe it is worth it. It's the best car I have driven in a long time. Even being a seven year old car still runs great. We fill the car up every two to three weeks. And I also love the interior and the way the car is painted. I love the size of it. I can fit it into almost any parking spot but the inside does not feel cramped. I love the hatch in the back that makes loading things like groceries into my car extremely easy. My only major complaint is the turning radius isn't that great. Not made for little people. These cars have leg and head room. I love my mini and I have no complaints. Mini service plan is amazing. Car gets great gas mileage. Lots of storage. Seats comfortable, could be better. It's fun to drive. 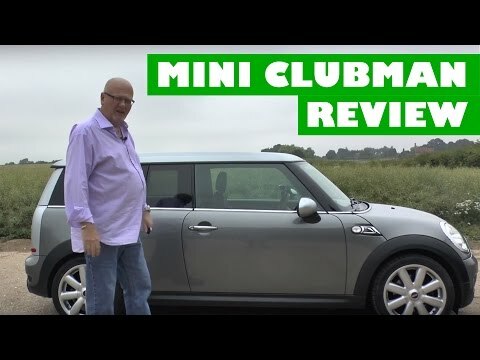 Mini Clubman review - What Car? BMW Is recalling certain model year 2011 Mini Cooper Clubman and Cooper S Clubman vehicles manufactured from February 8, 2011, through May 11, 2011, for failing to comply with the requirements of Federal Motor Vehicles Safety Standard No. 101, "Controls and Displays." These vehicles are equipped with a European specification tachometer that uses brake-system telltales/symbols that do not meet U.S. requirements. In the event of an ABS system problem, only the the outer circle of the symbol illuminates, not the ABS letters. As such, the driver may be unaware that there is a problem with the ABS, increasing the risk of a crash. All affected vehicles have been repaired at dealerships. Therefore, an owner notification letter will not be issued for this campaign. Owners may contact BMW at 1-800-525-7417.